As travel to Colombia becomes safer, more accessible and much more popular, it’s easy for people to get swept up with checking off popular destinations off their list of places to see. British/German expat, Stuart Oswald, reminds us that it’s often the small towns and unknown pockets of Colombia that can teach us so much about the country and ourselves. 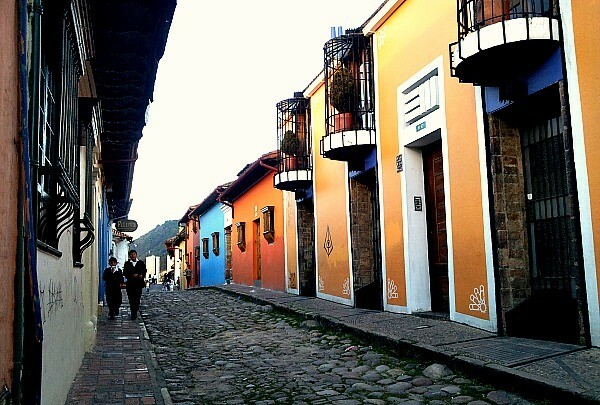 Read all about his experiences in the country as an expat in Colombia below. And, great news, he’s a fan of hot chocolate and cheese! I am a British/German expat living in a rural part of the Colombian Andes 3 hours drive West out of Bogotá. I work in tourism, personalised guided tours. I also have a technology solutions company aimed at small to medium sized companies nationwide. My Colombia infection started in 2006 with a touristy visit to Bogotá and a few other cities. I’ve been returning regularly since and only recently decided to make it my home. To me, Colombia is a melting pot, not of cultures, but of ways. It is a simpler way of life compared to what I was used to in Europe. People here are genuine and interesting. Much of what happens is with the preoccupation of life’s regularities. Family and traditions are strong here and that’s something we’ve almost completely lost in Europe in comparison. In Colombia you can find yourself again. My first encounter with Colombia was back in 2006 just as the country was at a real turning point and huge swaths of the country became seemingly safer and opened up. I was taking a taxi from Bogotá’s airport to a friends place in Bogotá’s south. There were still horse-drawn carts, rubbish, homelessness and bad traffic. Minus the traffic, some parts at night can seem like a scene from the film Escape from New York (1981). Still, venturing out felt like an adventure, and it was. Leaving the city out into the Andean towns seemed like a page from a Tintin comic. I was expecting strife and conflict, which is what the media continually portrays Colombia as. I saw that Colombia, and ultimately Colombians, are more than that and something special seems to come out of the strife. It met my expectations but Colombia obviously raised herself above them. You have a blog all about your journey in Colombia. What inspired you to create this blog? I have a annoying need to document what would appear to be the mundane. I even went as far as to create a podcast that features soundscapes of environments I find interesting. In some ways I feel the need to capture a point and place in time for myself and for others that they might one time find interesting. My blog is really just to share my experiences with others. I try not to make touristy posts so it should offer something different to those seeking to know more about Colombia. To be honest there isn’t a particular dish, sorry to say. But there are components that I love of Colombian cooking. The papas criollos (andean potatoes), patacones verdes (squashed and fried green plantain), then there’s buñuelos (fried sweet cornstarch with cheese). I have a soft spot for ajiaco soup which again features corn and my favourite papas criollas. If I had to name a dish, it would most definitely be Chocolate Santafereño because I have a sweet tooth and the warm breads plus the cheese are divine. When I first heard about hot chocolate and cheese I thought that was absurd, now I couldn’t imagine hot chocolate without it. How times change. Of the man-made aspects it has to be the queues and bureaucracy. I am now skilled at creating copies of both sides of my ID card at 150% magnitude (its a persistent requirement here). Immense quantities of paperwork for standard affairs have become the norm. I now surrender whole mornings just to pay bills. Defending and jumping my place in queues has become second nature. As for mother nature it would be the relentless tropical heat and sun. It’s fun at the start but it takes a toll on the body soon enough. Anything but those horrid bleached white ones that are sold throughout every town here as a staple. I make my own with integral maize flower, work in some grated Colombian cheese (would be better with cheddar) and cook with butter. A good shake of salt and that’s it for me. Despite wanting to keep this to as few people as possible, I will let you on to a real gem. The Town of Honda, Tolima on the Magdalena river and it is not too far from Bogotá (about 4 hours by bus). Its a place that used to be big with Colombian tourists in the 80s and 90s and is known as the City of Peace as it escaped much of Colombia’s conflict even during the darkest times here. Now, with a new highway bypassing the town altogether it has become somewhat dilapidated. The great news is that the colonial centre is preserved. Walking the streets here is a walk through time. What’s most charming about the experience is not the old buildings and settings that bring you back to an elegant Colombia, but that the old houses you pass are actually not fancy boutiques but real functioning family homes that are still lived in. My best advice here is to find a room with air-con (its very hot here), get out early and spend as much time in the old part of town, walk the streets, visit a church, cross as many of the forty bridges as possible, get to the river bank then head for lunch by the amazing bustling and characterful market. There’s beautiful churches, an old station and a pair of interesting museums. You might have to work to appreciate this place but it will reward you just as much as Cartagena or Mompox. Thank me when you feel that you’ve realised what I’m on about and please try not to tell too many people about it. I am going to try really hard not to repeat the cliché of following your dream. My best advice is to keep yourself grounded, don’t run away with the excitement of the packs of tourists. Try to take a moment to appreciate the here and now. Savour the towns and places of the city where there aren’t many tourists. 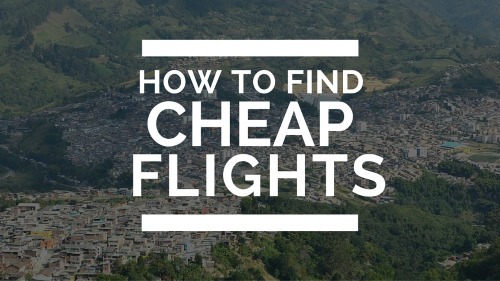 Try to experience the normal lives of Colombians and not be too focused on continually moving on to that next place you heard about in the guide books. What’s something new that you’re currently working on? I am always working on projects but the main aspect of my attention right now is dealing with the huge opportunities of my new technology solutions company which this year I have moved to Colombia. I find that Colombian businesses have a gaping need for reliable and productive technology for their companies of all sizes. We all know that websites here in Colombia leave much to be desired. This is something that I and my team are working and delivering great results on. Separately, I am fulfilling my love for travel by opening up my personalised tours of Colombia to small families. We discover many gems of Colombia that the guides have simply missed. 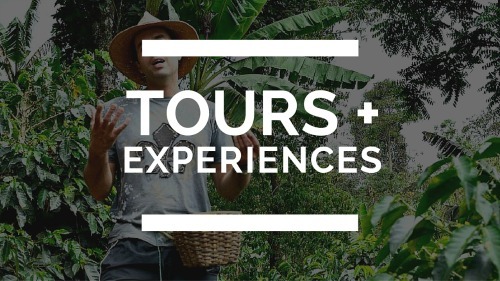 If you’re looking for help with your company’s web presence or would like me to sharing my knowledge of Colombia in a personal tailored tour than please contact me (me@stuartoswald.com). But if you are just looking for more information on Colombia and what I find interesting than head right on over to my blog, www.stuartoswald.com. If you don’t fancy looking through yet another blog then please follow me on Instagram. 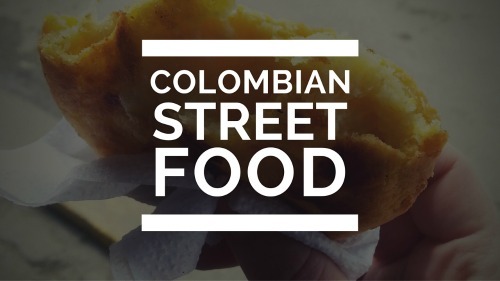 It’s the social media platform that I like to chill on and best share my Colombian life.